What Am I Dying To So That I May Birth? Welcoming a child into our lives is a creative process. Both death and life are key ingredients in creativity. Creativity is a dynamic process in which the duality of opposites is resolved in sacred union. As we reconcile the opposites within ourselves, a new spark of life, innovation, and new possibilities are formed. The conception of a child illuminates this principle beautifully. Within us, through a dynamic, sensual, lifefilled dance with the sacred other (our partner) we reconcile sperm and egg into something entirely new: the sacred child. Whether through our hearts or our bodies as we conceive, gestate, and birth the dream of our child into the world--this creative process is not all love, bliss, light, and life. It’s also dark at times, unknown, challenging, and full of endings and leave-takings. When we expect fathers and mothers to remain in a constant state of bliss, we rob them of the full picture of what it means to be creative: opening and shifting within to build a supportive space for new life to take root. We also set ourselves up with artificial expectations of what it means to be a successful parent. We transform and change shape as human beings. It is necessary for us to update our priorities, evolving our sense of self, work, and purpose. We say goodbye to much of our free time, hobbies, old relationships, and the ability to keep things ordered and controlled. Our bodies, our sexuality, our relationships, our roles, our vocations transform. We make space within our psyches for new aspects of ourselves to be birthed: expanded patience, compassion, joy, flexibility, commitment, and devotion. We birth our unique mother and father essences. When we are tired, our backs are up against the wall, and we are looking into the eyes of our little one, we discover our heart now lives outside our bodies. We realize what really matters now and what doesn’t. We let go, we rebirth, we evolve, and we embrace the new. In this culture we emphasize embracing all the new of parenting but forget to honor the conscious process of releasing that which is outmoded in our lives. 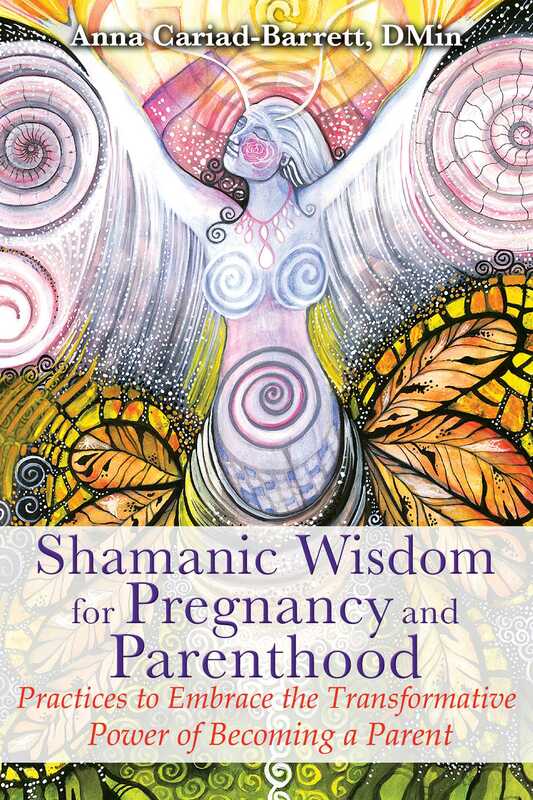 As we prepare to become parents, it is highly supportive to create a space for a conscious process of acknowledging what we are choosing to say goodbye to in order to move forward into our dreams. What we need to release and what this process looks like is different for each person. It doesn’t make you a bad mother or father to grieve what is changing in your life. The fact that someone beautiful and amazing is coming into your life, and you are receiving the gift of becoming a parent, does not negate the reality that you are also experiencing huge personal change. What are you dying to in order to birth your dreams? How can this process be intentional, conscious, honoring, and sacred? The more that you bring conscious awareness to what is changing form in your life, the better you are able to give yourself the support you need, creating a leave-taking filled with grace and integrity. If we refuse to acknowledge what is transforming within us, we can feel robbed of these parts of ourselves and project this outwardly onto our partners and children or internalize it as depression and low self-esteem. In order to fully embrace our children, our co-parents, and ourselves as parents, we need to honor that which we are letting go. We need to come to terms and make peace with the change we are experiencing. In this way, change becomes a process of positive evolution that empowers us, as opposed to a violation we resent. This is a key component for providing more comprehensive support for both parents during the postpartum period and first years of a baby’s life. Create a sacred space for a simple ceremony that you design. Honor with gratitude the parts of your life that you are ready to release. Acknowledge the emotions that go along with this change. This could take the form of writing them down on pieces of paper and burning them in a fire. Many prairie ecosystems will only bloom once a wildfire has moved through. How can this be a conscious process of beauty that you co-create? form of taking the ashes from what you have let go and adding it to compost for a new blossoming plant that you place in the ground. The plant needs the foundation and nourishment of the composted ashes of the world to sustain and support it. Both are sacred and dance together in this human journey of the heart.